Nail Polish Anise Love Elixir, There is a line of nail polish that I can only find in DSW and I have not seen it carried in any other store in my area. 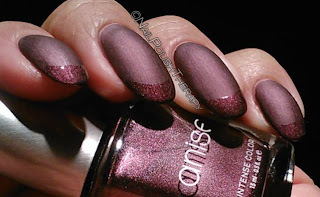 It's called Anise and the colors are gorgeous! I have a lot from this line but I haven't used them in a long time. 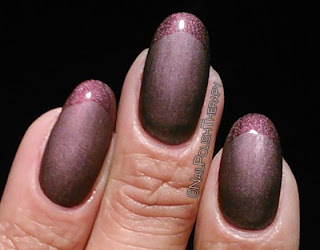 So going back in to my Fall drawer I took out this beauty called Love Elixir. 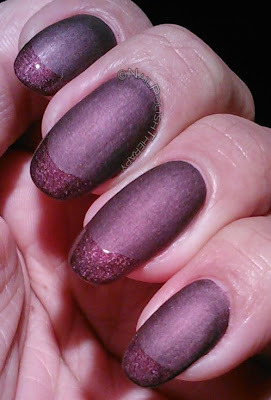 A beautiful purple with slight silver shimmer, and a hint of frost. I decided to mattify it and gloss the tips like I did in this manicure. 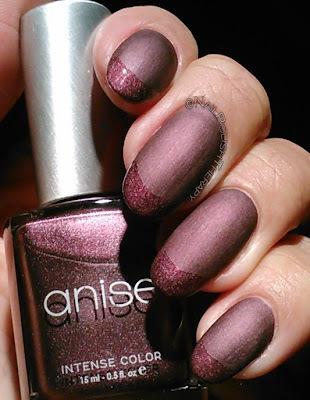 The formula as most all Anise colors was just right, with easy consistent application. No complaints here. What you see is 2 coats of Love Elixir 2 coats of Butter London Matte Top coat and 1 coat of Seche Vete on the tips. Thoughts? Feelings? Concerns?